A California company has developed software that enables radiologists, interventional and pediatric cardiologists, and other surgical specialists to actually see their patients' anatomy in open 3D space. This technology could have far-reaching effects in both practice and education. Using functional MRI, researchers have recently made incredible strides in mapping the human brain in the hope that they will uncover information regarding brain connectivity, its relationship to behavior, and areas where certain disorders and disease may be observed. As the use and implementation of artificial intelligence has begun creeping into radiology, IBM's Watson could end up leading the way. 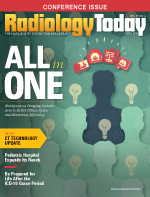 Small- and medium-sized institutions across the country face a similar dilemma: How can they take advantage of the technology advances driving modern radiology as the price of entry keeps rising? 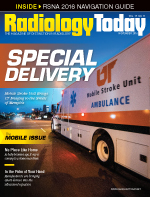 To achieve this goal, teleradiology has moved beyond moving images and data around on a network to become something more comprehensive: distributed radiology services. What's Hot and What's Next? Mobile stroke units have managed to successfully shave precious minutes off the diagnosis and treatment of stroke patients, leading to a reduction of morbidity and mortality and an increase in patients who are able to leave the hospital fully functional. As the population ages, traveling to imaging centers and hospitals becomes more difficult for many. As a result, the use of mobile and at-home X-rays has grown in popularity. Manufacturers are bringing smart devices into the ultrasound equation. Managing data collected and read on mobile devices has become a big challenge. 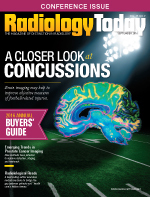 Radiology Billing: In-House or Outsource? MRI has become more widely used in recent years, including in the segment of the population that has implanted cardiac devices. As a result, extra safety precautions must be taken. The importance of prior studies for comparison in mammography reading is no secret to breast imagers, but limited resources and lack of knowledge often limit access to previous images. Ergonomically designed reading rooms can help improve the flow and quality of work, but many radiologists are still, for a variety of reasons, working in subpar rooms. 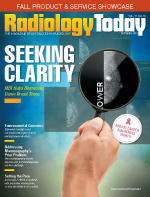 Radiologists still debate which modality provides the clearest view through the white cloud of dense breast tissue, but the early results of molecular breast imaging show promise. Although the long-term effects of concussions are still contested, researchers continue to look into how to more accurately diagnose the brain injuries, even when the patient does not display symptoms. While PET/CT remains the standard for diagnosing prostate cancer, new modalities are starting to gain traction in both diagnosis and treatment. Best-selling medical author Carolyn Jourdan, JD, speaks with Radiology Today about her career path and her time shadowing radiologists to gather research for her books. 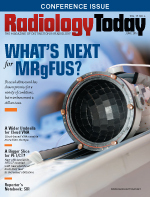 Imaging departments are adapting to the mandate, but questions persist. 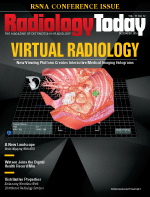 Don't miss our annual directory of the latest imaging products and services. 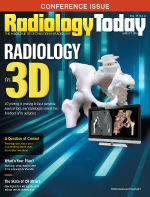 Medical 3D printing is growing exponentially in popularity and radiologists are currently at the forefront of the movement, but they must work to remain heavily involved in the process. 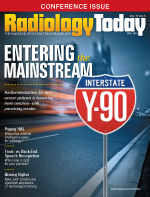 Within all aspects of radiology, taking steps to prevent the transmission of health care–associated infections will safeguard patients and workers, as well as the field's reputation regarding infection control and safety issues. HIPAA requires all health care providers to have a disaster recovery plan in place, and for radiologists, that can mean anything from offsite data storage to storing information in the cloud and everything in between. Recent legislation that alters the way CR reimbursement will function will likely officially close the book on the use of CR. 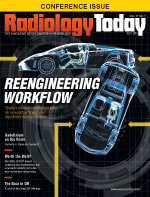 Many experts agree that quick fixes and short-term solutions to improve the efficiency of a radiology department are unwise and could have negative long-term financial consequences. While changes to reimbursement for mammograms based on recommendations by the US Preventive Services Task Force loom, the industry remains divided as to the appropriate timetable for breast screening. Gadolinium enhances the quality of MRI by altering the magnetic properties of water molecules that are nearby in the body and is widely believed to be safe. However, recent studies have found there may be negative long-term consequences in some instances. Over the past decade, facilities have switched from film and CR to DR, and industry insiders believe that trend will continue. As the use of MR-guided focused ultrasound becomes more widespread, researchers and developers have begun to look into more uses for the technology, including, most recently, to treat uterine fibroids in women who wish to preserve fertility and to provide pain relief for patients with bone metastases. Still, reimbursement questions linger. Read about the latest research findings presented at the conference. Cloud-based vendor neutral archives are enabling more than just data storage. Several manufacturers have been working to expand their PET/CT offerings and utilizing new technology that is helping doctors and patients alike. As the uses and abilities of artificial intelligence continue to improve and advance, radiologists have begun to speculate on how the technology may affect their industry in the near future. New standards announced by The Joint Commission earlier this year have placed a greater emphasis on the safety of CT patients and on those technologists that perform the scans. While it has been an option for more than a decade, using radioembolization to treat two types of liver cancer has become more common in recent years. Health care organizations must take into account several factors before making the leap. Manufacturers have begun to release a line of multipurpose imaging systems that aim to better utilize space and increase efficiency in a variety of imaging centers. The Children's Hospital of Philadelphia recently expanded to a $65 million, 135,000-square-foot Specialty Care and Ambulatory Surgery Center in the suburbs of Philadelphia. The new facility showcases the cutting edge of pediatric imaging and care technology. Influenced by several factors, the use of CT imaging continues to expand and evolve. 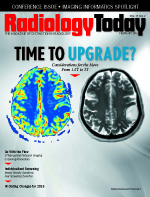 While many radiology practices have yet to feel any great negative impact as a result of the switch to ICD-10, the grace period extended by the Centers for Medicare & Medicaid Services should not be used as an excuse for practices and radiologists to ignore any current coding issues that could eventually result in denials. 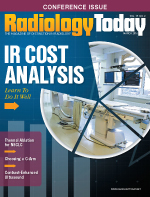 Until recently, most interventional radiologists—like most of their physician colleagues—were not very interested in or concerned about the cost of providing their services. However, The Patient Protection and Affordable Care Act enacted in 2010 and other health care market reforms have changed that, as government and private payers are exploring new systems of health care delivery and payment that reward coordination of care while minimizing resource use. Interventional radiologists are working to develop better data and expand the use of ablative procedures to treat stage 1 non small cell lung cancer in patients who are not candidates for surgery. With FDA approval for the use of contrast-enhanced ultrasound limited to echocardiography, physicians and radiologists in the United States are turning to "off-label" uses to come up with clearer views of more than just a patient's heart. When a facility considers adding C-arm equipment, consideration must be given to cost, space, and the frequency that the equipment will get used. 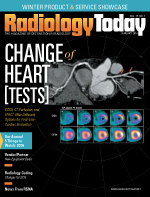 Using cardiac CT myocardial perfusion as an alternative to SPECT is not a new concept; however, as CT technology has continued to improve, so has the use of this imaging procedure. When and how to screen women with dense breasts is anything but standardized currently, but some radiologists believe that this uncertainty is a great way to start a dialogue between imagers, referring physicians, and patients to determine the best course of action for screening women with dense breasts. In the second part of Radiology Today's look at coding changes for 2016, we look at the many changes for the procedure coding of interventional services. According to a 2014 report, the average installed MR system in the United States is 11 years old. With that in mind, many facilities are considering upgrades to separate themselves in a crowded marketplace, resulting in an increase in installation of 1.5T and 3T MRI systems. Nuclear stress test may currently be the norm for cardiac evaluation, but a growing number of physicians believe there's enough evidence to support changing the paradigm, especially for patients at low to moderate risk. In an agreement with GE Healthcare, Temple University Health System will receive radiologic imaging equipment and services over a seven-year period intended to help the medical facility update its radiology offerings and improve workflow efficiencies—at a reduced cost. Read about the latest research findings presented at RSNA 2015. Once again, Radiology Today chooses five subjects that we believe will merit your attention in the coming year. Where Will You Lead 2016?